A few photos to satisfy your curiosity. 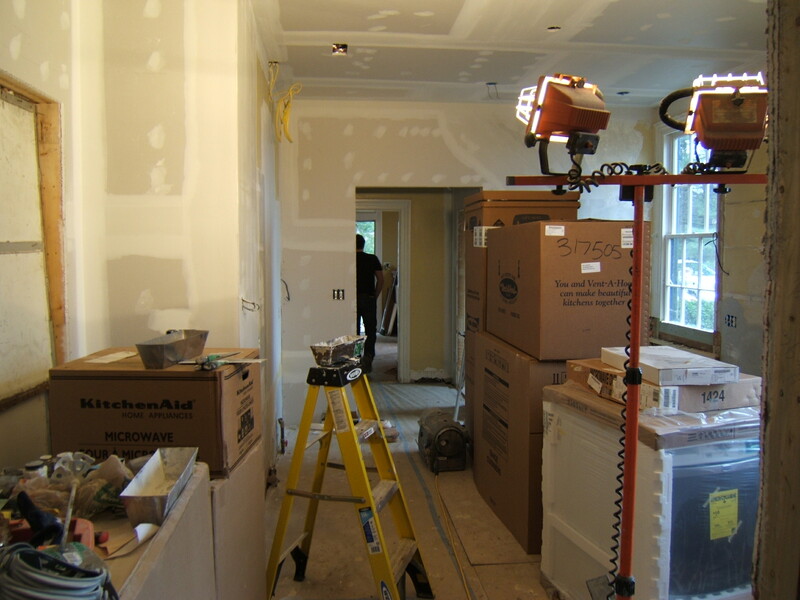 How did I know that you lay awake at night wondering how our kitchen is coming along you ask? I have my ways. 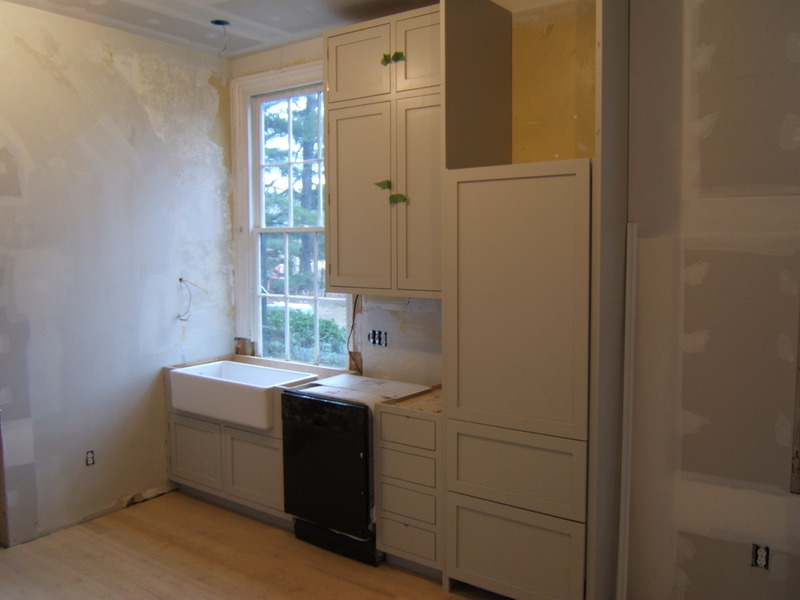 The cabinets were custom-made and finished to match Benjamin Moore Revere Pewter. You know how much I love grey! The stove is by Jenn-air. 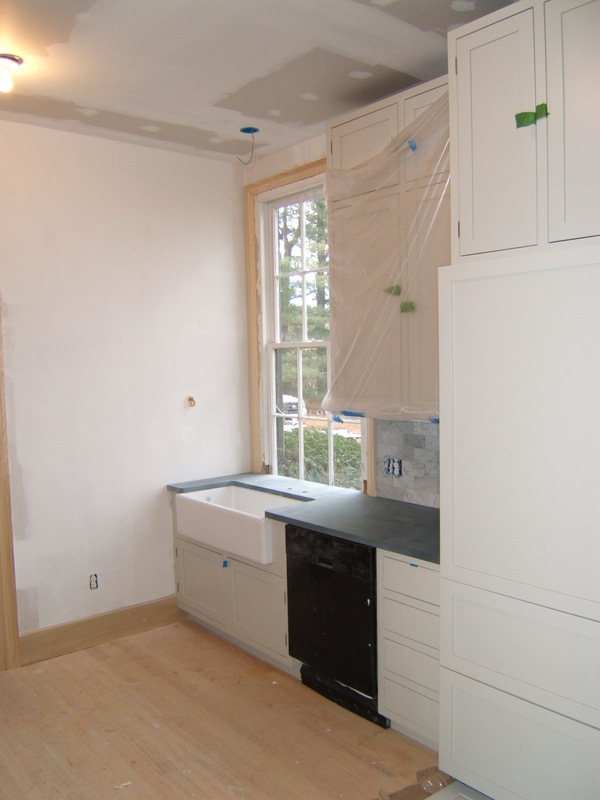 The Soapstone for the counters was quarried right here in Virginia by Alberene Soapstone. 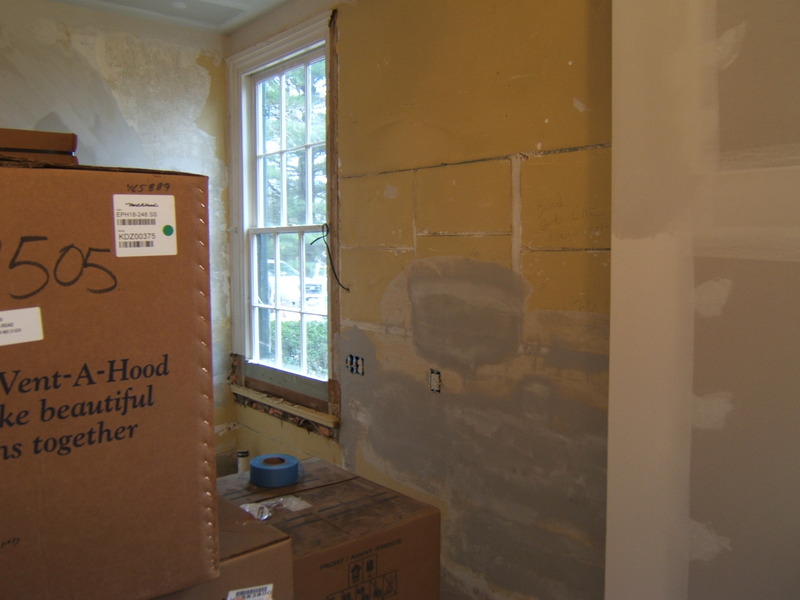 The trim and frame of the opening/doorway and the baseboards were carefully designed to replicate the originals. 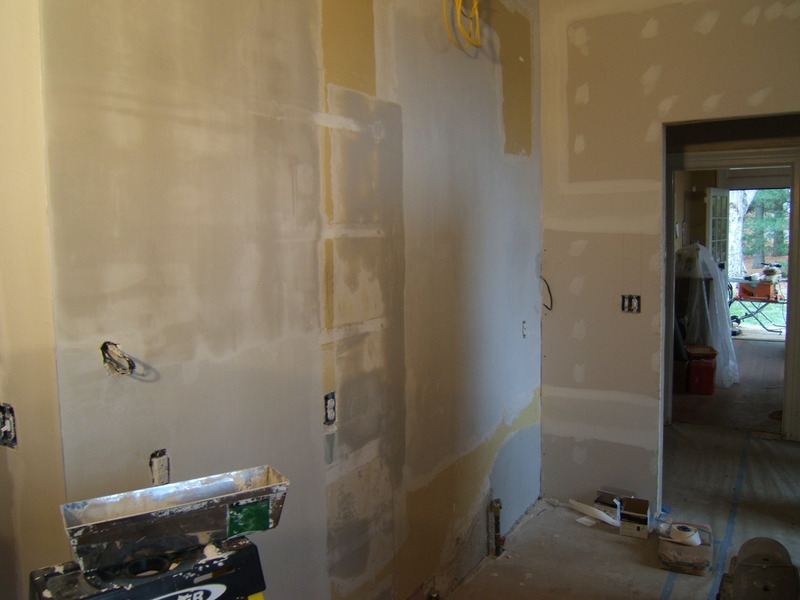 Trim seems like such a small detail but the craftsmanship of the contractor and his team makes you take notice. When completed the transition between old and new should be nonexistent. There is a pretty awesome view out that window and now the sink is in front of it. Even better. The fireclay farm sink is by Rohl. The cabinet above the fridge was a tragedy of contracting. 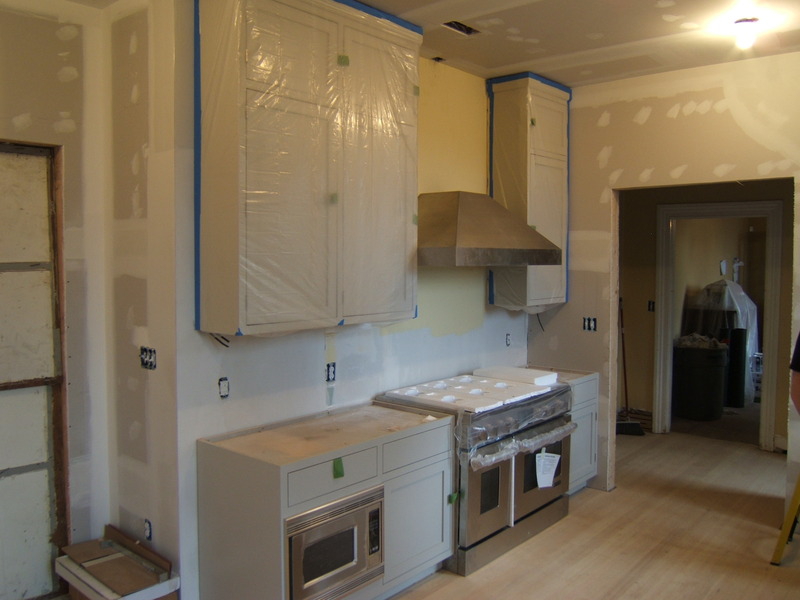 The cost of home renovation is that there are always a few errors. Do you brush yourself off or make the rest of the project a drudgery. It’s really up to you, because having a project go off without a few mistakes is not humanly possible. If you think about it…in the grand scheme these aren’t really “problems”. Ahh…there it is, and the counter too. 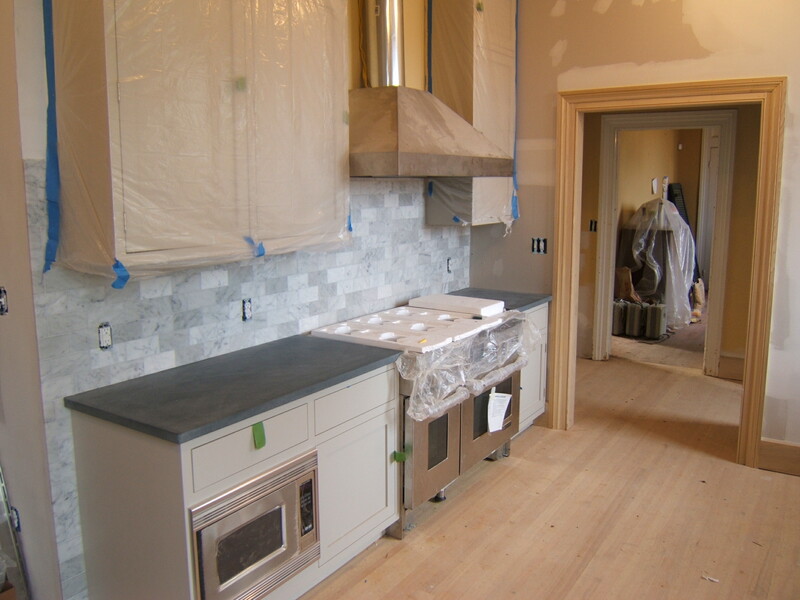 BTW – the back splash is 3×6 honed Carrera marble tile from Mosaic. 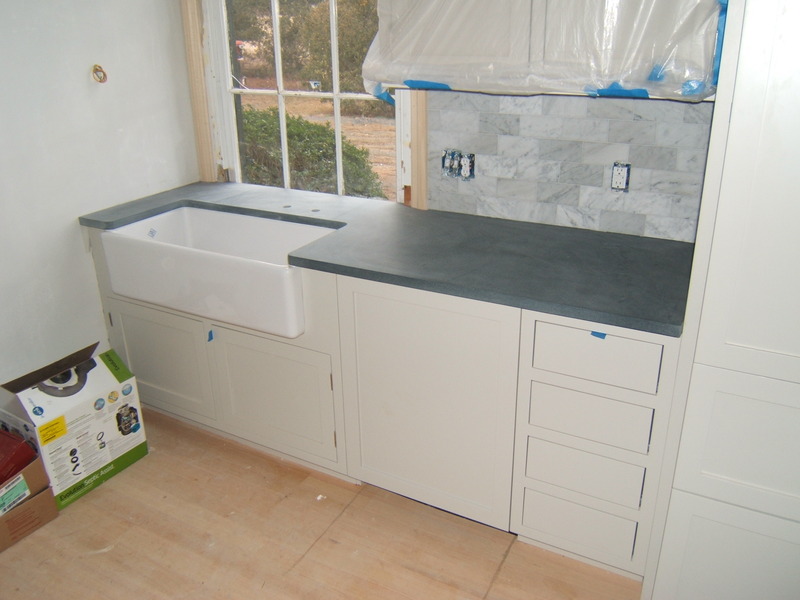 Kitchen Sink/Fridge Wall with Dishwasher Panel. And finally the dishwasher panel. We still have a ways to go, but things are wrapping up. Stay tuned. I loved this house before the remodeling. Now it’s awesome!! !